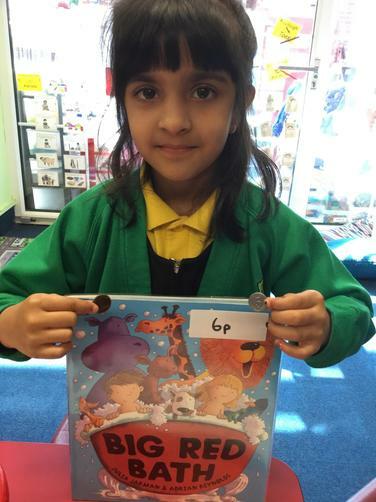 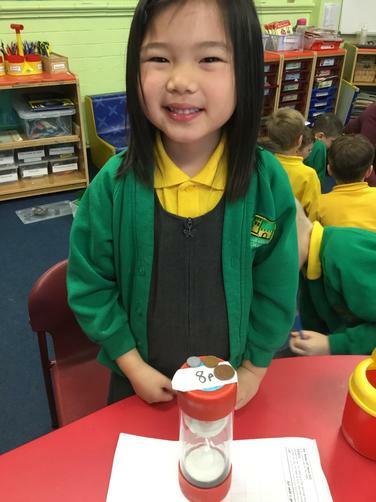 A huge Well done to this weeks Star of the Week Hikari for her hard work and earning the most Dojos! 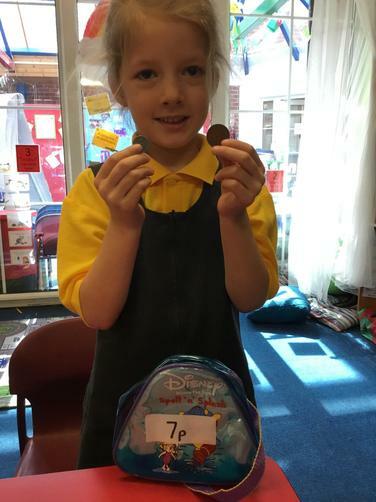 Also well done to Farrah for using lots of Welsh this week and earning our Siaradwr Yr Wythnos award! 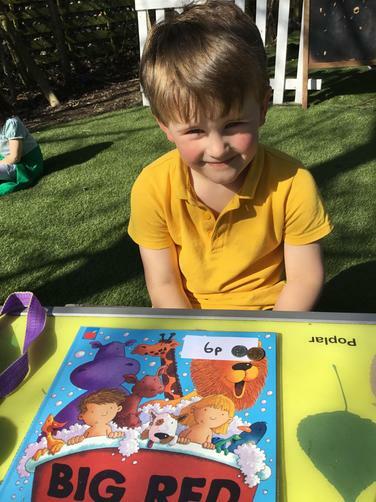 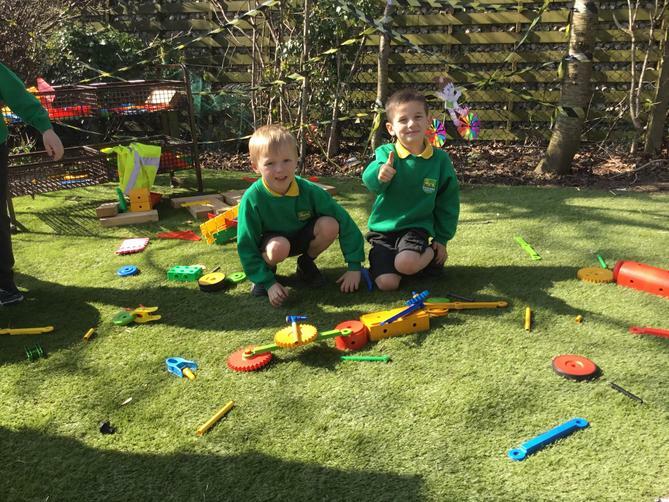 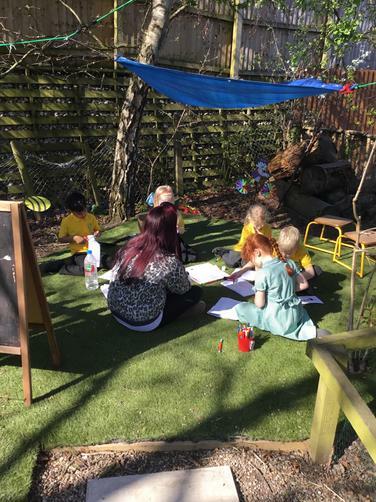 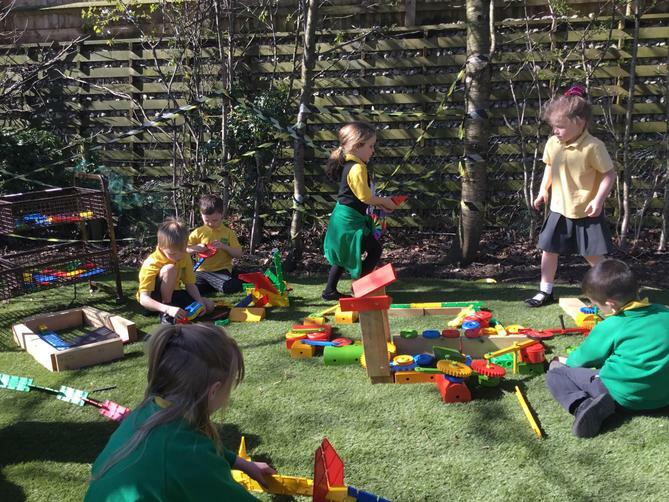 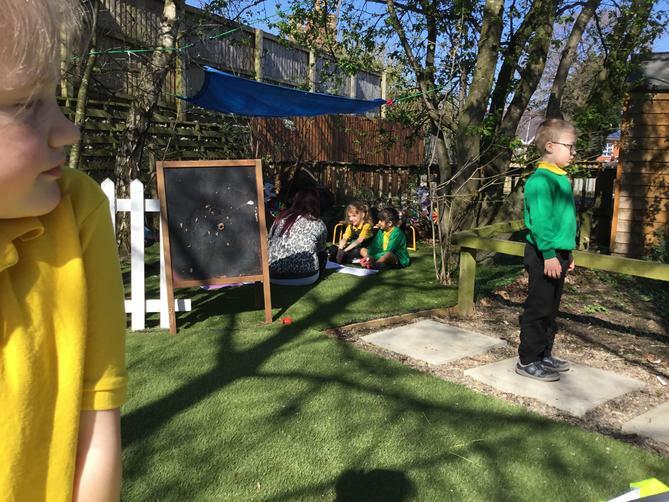 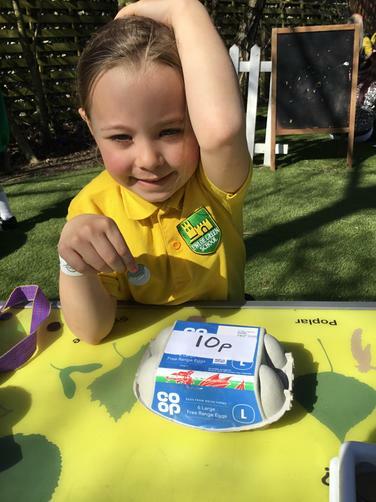 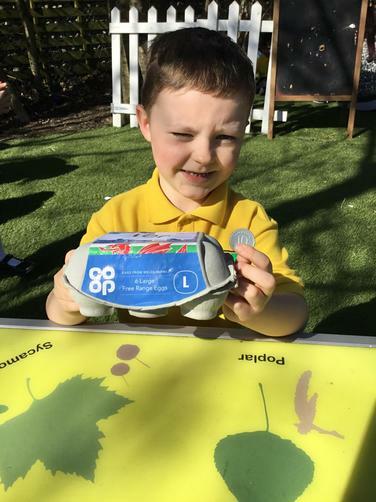 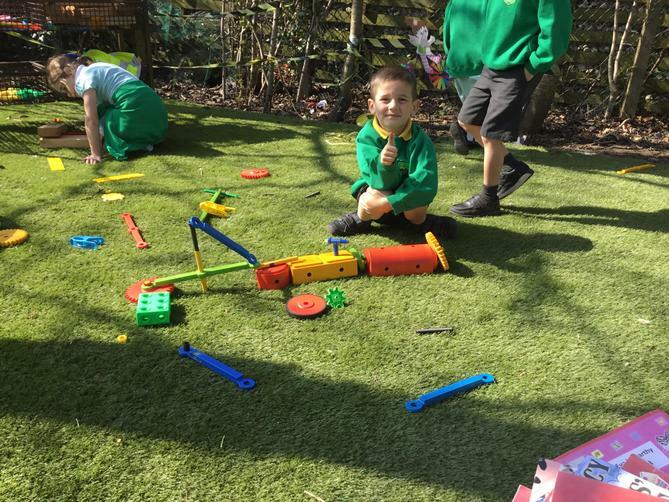 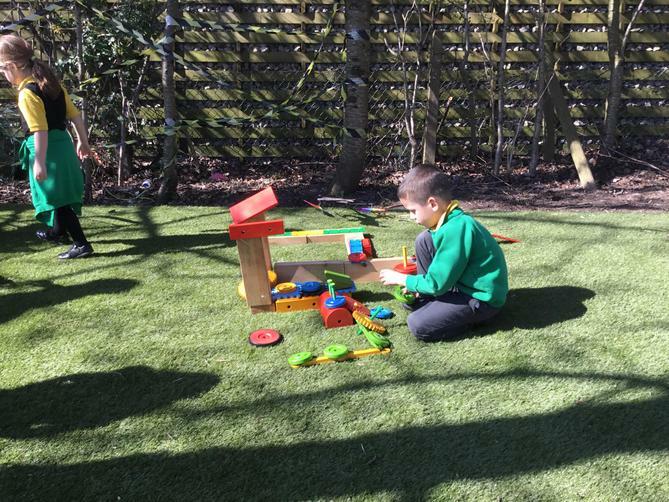 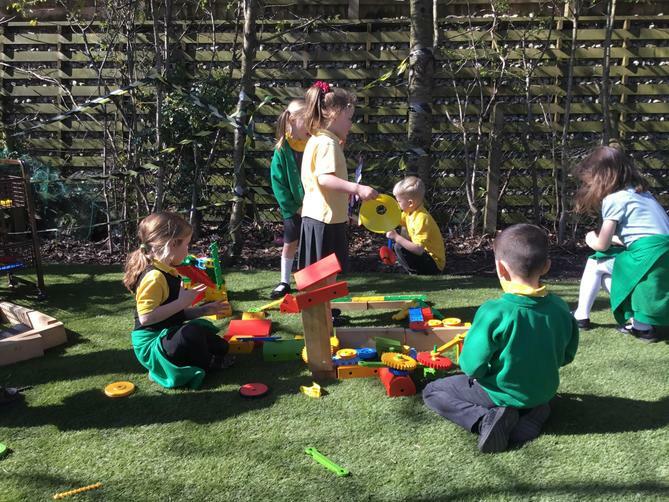 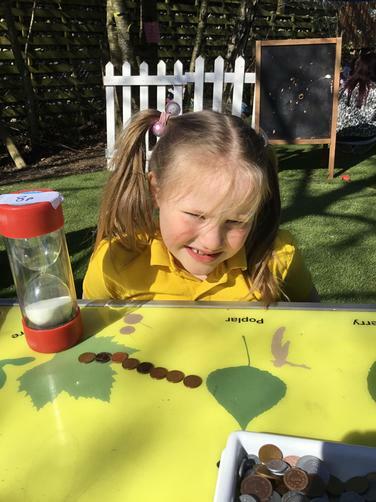 Fun in the sun in our outdoor classroom! 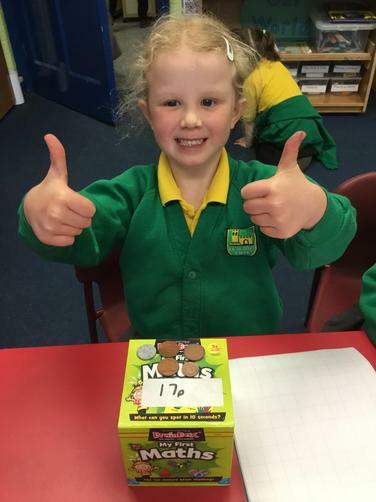 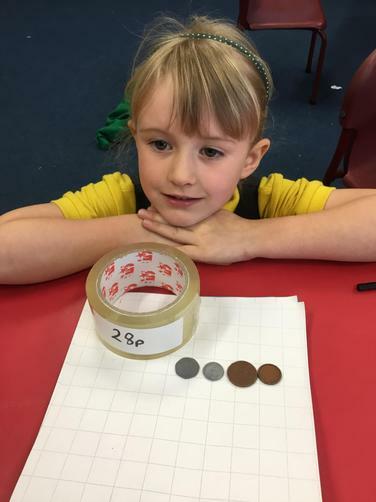 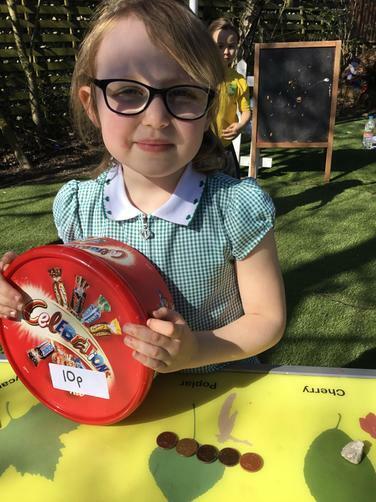 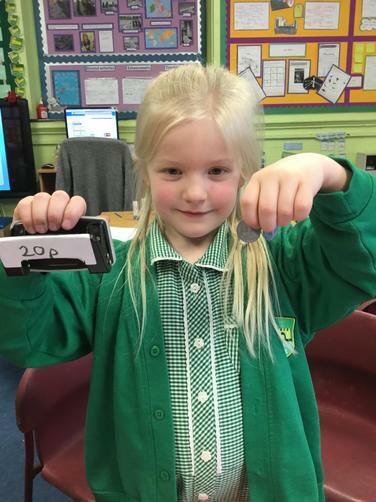 This week in maths we have been learning about money. 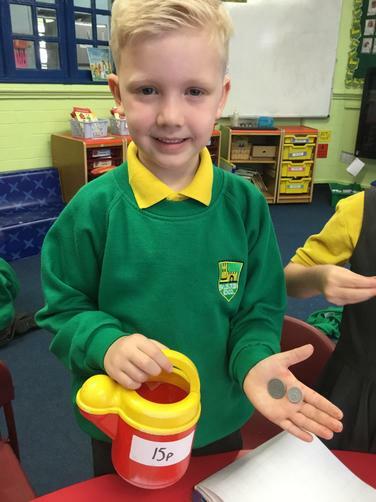 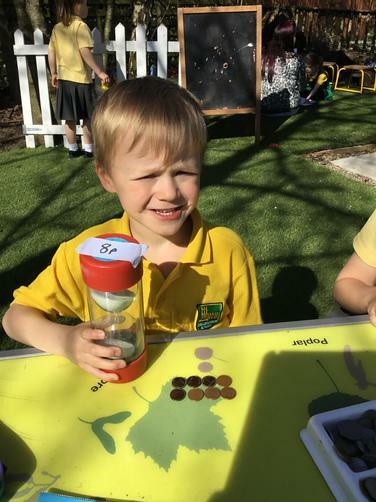 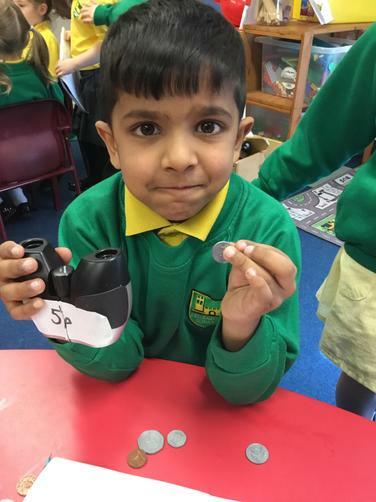 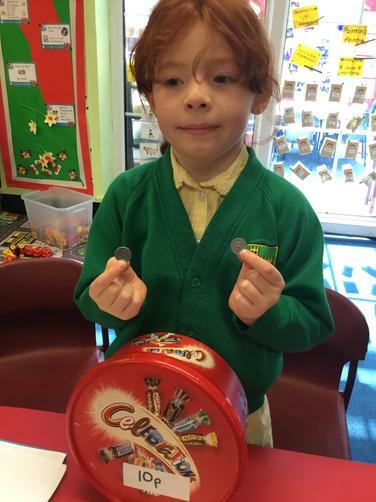 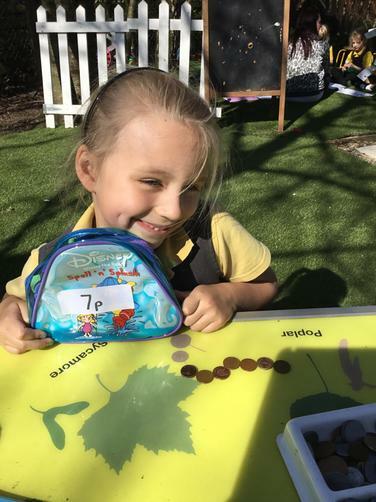 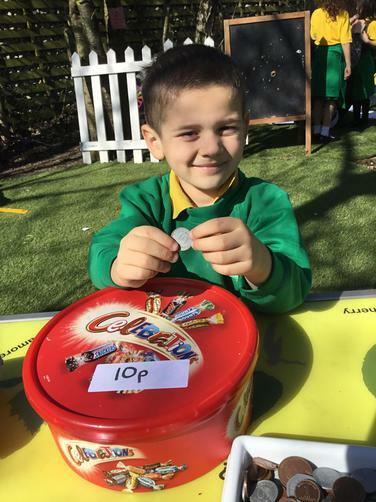 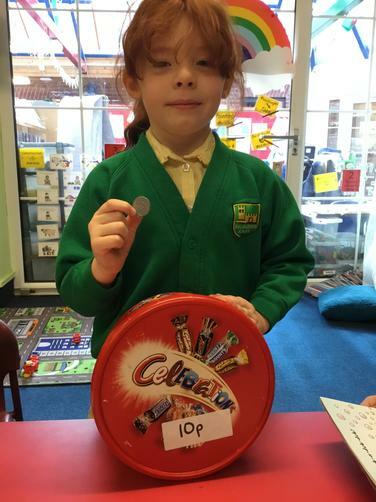 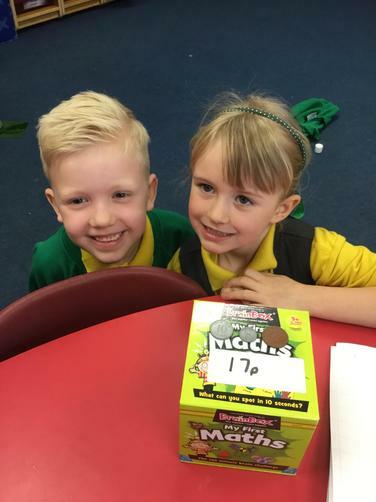 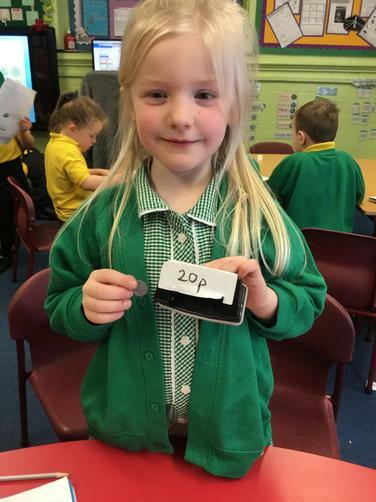 We have been looking at the value of coins and practicing paying for items in Mrs Jones’ shop.